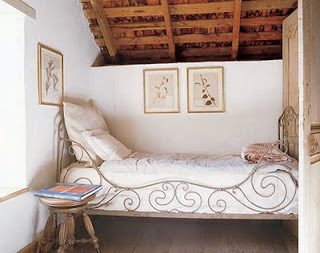 I can just imagine curling up on this day bed with a favourite book. Not sure if I would get much reading done though... We recently delivered this folding French day bed to a beautiful country home in Tasmania. It went up into a large loft area and looked fabulous! This day bed is actually English. I love the deep buttoning and the neutral linen. It looks very comfortable. 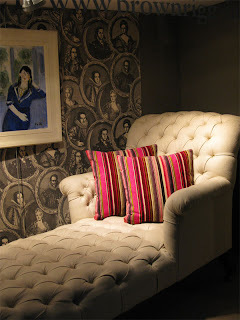 (Image from http://www.brownrigg-interiors.co.uk/). 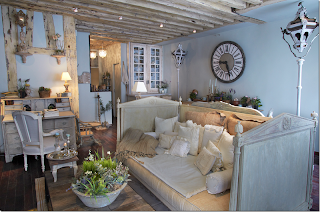 You can actually stay in this room in Paris - le Turenne, a beautiful apartment available for rent in the Place des Vosges district of Marais (Image from http://www.bellefrancaiseinteriors.blogspot.com/). 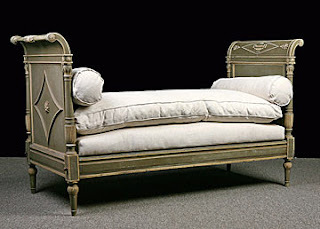 This chaise longue has a wonderful regency shape. This day bed is in the French Directoire style (Image from http://www.alhambraantiques.com/). We bought a very similar day bed very early on in our buying trip. Our container is due at our door this week. We will then be closed for a period of time, busily unpacking, sorting and arranging. We will post details at the time when we close and re-open. 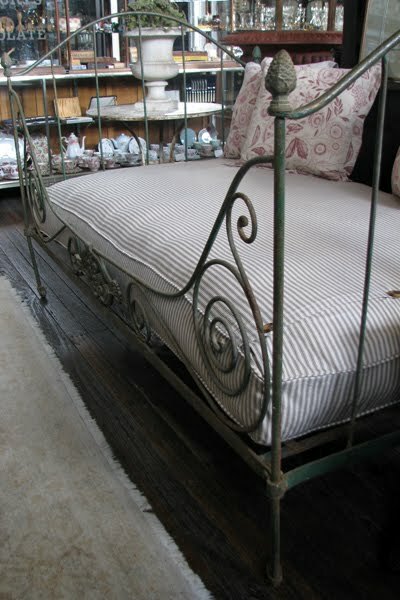 Day beds are just stunning I love mine. Very exciting about your new shipment cannot wait to see the items you purchased. It is very exciting. The hardest bit is the wait! We will have a lot of work to do, especially trying to fit it all in!